Schumer and House Minority Leader Nancy Pelosi have proposed no more than $1.6 billion. The money would not go for the wall but for fencing upgrades and other border security. Democrats also offered to keep funding at its current level, $1.3 billion. 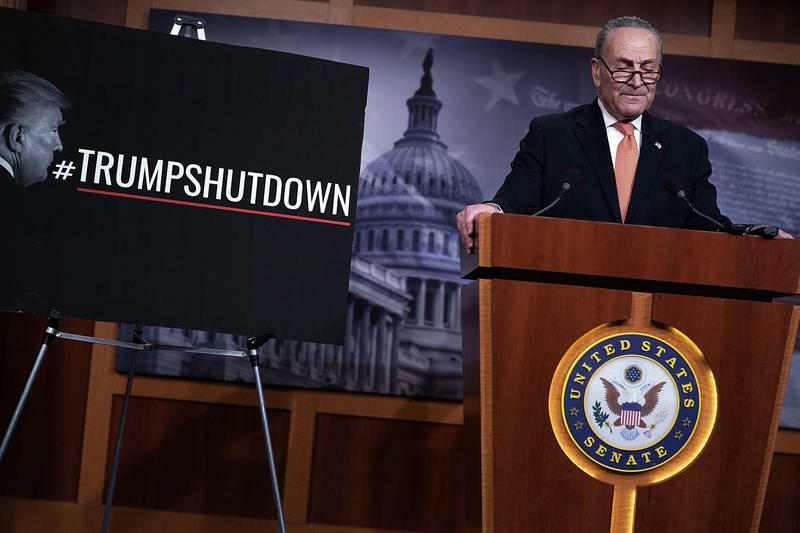 Schumer says Trump doesn't have the votes from the Republican-controlled Congress to support $5 billion for the wall. Without a deal to keep the money flowing, a partial government shutdown would begin next weekend. But with the Christmas holiday coming soon after, many of the agencies affected would likely not be fully functioning anyway. Holiday travelers would still see TSA employees at Detroit Metro Airport and Customs and Border Protection agents at the Blue Water Bridge, though technically without pay. If a deal isn’t reached, it will likely be after the first of the year before the effects of mandated employee furloughs and office closings will be felt. A partial shutdown would affect services to Michigan farmers, small business owners and people getting FHA loans. Most Michiganders haven’t felt the impact of the federal government shutdown. For the most part, it will be another 30 days or more before some of the state government’s major programs that rely on federal funds start seeing that money running out. State officials say, if the shutdown persists, it may force them to prioritize food assistance programs like school lunches, meals on wheels and the WIC program. Other programs may run out of money sooner.